1. 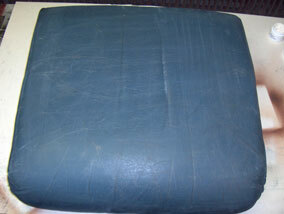 Using the leather recolouring balm. 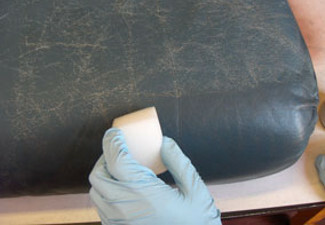 This is a simple wipe on and buff off application, however it requires the leathers surface to be absorbant in order for the balm to properly penetrate. 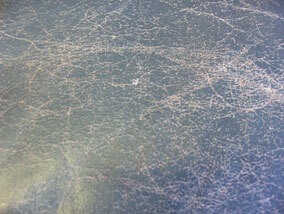 It also works if the surface coating has split/cracked exposing a lighter colour beneath. The advantages of using the balm are that it is cheap and easy to use, and the results are very pleasing. However, it only restores the colour, if the leather is cracked, it will not actually fix the cracks - just hide them with colour. 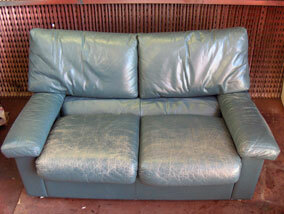 For a more complete restoration, see number two. 2. If you want to restore the leather to pristine condition, fixing all scuffs and cracks, then follow the instructions provided below. All of the products mentioned in this guide can be purchased at the bottom of this page. 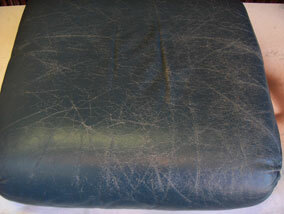 The above two photos show the seating cushion in very bad condition. 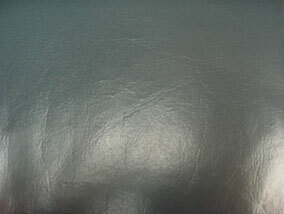 The photo to the right is an up-close photo of a section of the cushion. The cracks have occurred over 20 years of wear and tear on the leathers surface causing the pigment to 'crack' as the leather flexes. 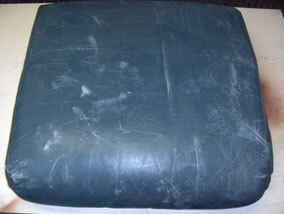 Regular applications of protection cream could have prevented this!! 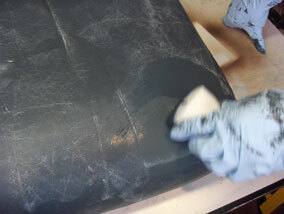 The first process is to strengthen the leather to prevent future cracking. 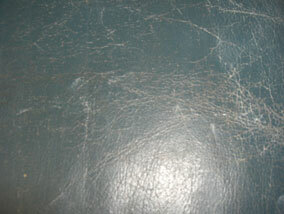 The Leather Binder is applied with a sponge and is absorbed by the leather holding all the worn leather fibres together. 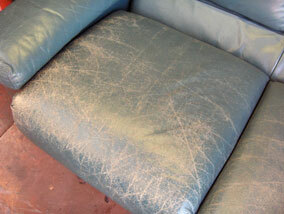 Apply approximately 3-5 coats to the entire surface, leaving time for each coat to dry before applying the next. The colourant dries naturally or you can speed it up with a hair drier. 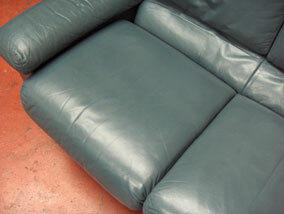 The leather finish is then applied in the exact same way as the colourant. Thin layers are the key! We recommend spraying on 2 layers of sealant (glossy), and then 2 layers of finish as this gives a very strong coating guaranteeing a very long life span of your job! 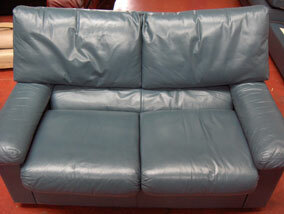 The leather finish further enhances the feel and texture of the leather, it gives you a lovely soft and delicate touch, even if the leather was rough beforehand!